An analysis essay assumes that you break a larger subject into subcategories and then examine each of them to form an opinion about the whole. After you have taken a problem apart, you must describe its components, explain how they are interrelated, and come up with your own conclusions. Narrow down the subject to a topic that is suitable for further analysis. 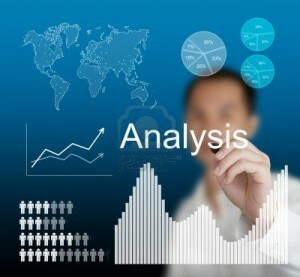 Don’t try to analyze a wide range of issues in your analysis essay. Develop your own points of view on the chosen topic. An analysis essay must declare its author’s opinions. You will also have to document how you came up with the conclusions. Collect the material relevant to your topic. You can use available sources if someone has already written material on your chosen topic—or do your own research: find additional information, conduct experiments, or make comparisons. Analyze the material, noting the points that support your argument together with those that do not. Start writing your essay. In the introduction, briefly announce what you are going to analyze. You can start from a broad statement that is relevant to your theme, and then narrow it down to a specific topic. In the main body text, state your ideas and support them with examples, facts, or quotes taken from reliable sources. Summarize what you have written and restate your main points in the conclusion. What causes so much rain in tropical forests? Why do tropical forests have such a wide variety of animals and plants? Is it related to the climate or the abundance of water? What techniques are required to become a pro-wrestler? Do you need to have a wrestling coach? Why do larger-sized animals fare better in colder climates? Could the polar bear have survived if it had been of a smaller size? Economic crisis and the rate of unemployment. Foreign policy in a globalized world. The metaphor of transformation in Kafka’s novel The Metamorphosis. The reasons for Mitt Romney’s defeat in the US presidential election 2012. The motives of suicide committed by Anna Karenina. The meaning of surrealistic images in Dali’s paintings. Your assessment of the material may change in the process of writing your analysis essay. The analysis essay should be written on a topic that has several controversial opinions in it. Don’t write about issues that everyone knows about already. Analysis essays often use a “how-to,” compare and contrast, or cause and effect thought-pattern. Do avoid using the second person pronoun (“you”). The first person pronoun “I” should also be avoided except in those cases when you need to support your argument with personal experience. Do use transitions between paragraphs. Such words as “furthermore,” “thus,” “thereby,” and “accordingly” will make your arguments flow more fluently. Do try to analyze your topic from different points of view. This will make your analysis more objective and complete. Besides, you can find new sources of information and strengthen your arguments. Do cite the works of other authors properly. Don’t write useless sentences to make your essay longer. Let every sentence serve the purpose of supporting and proving an idea. Don’t include new arguments in your conclusions. Don’t hesitate to proofread your analysis essay when it’s written. – It is not enough just to create a structure for the material and give its brief summary. You must investigate your topic, divide it into subsections, and then study each of them in order to make a conclusion about the whole. – Improper quotations. Make sure that you’ve formatted all citations properly. – Giving multiple arguments without any logical structure. If you don’t arrange your arguments in order from the most to least important, your analysis essay will look disorganized. – Building your essay on one or two arguments. No matter how strong your argument is, if it is the only one that you build your essay on, your paper will most likely be weak. Now that you have acquainted yourself with the basic analysis essay writing tips and rules, you can check out our analysis essay samples to link theory with practice.